Carworx Complete Car Care of Milford, OH provides complete oil change and maintenance service to the community. Locally owned and operated since 2007 we strive to provide the best service in Milford possible. We understand how important routine maintenance is and we will help you keep your vehicle’s performance on track. Call (513) 831-9600 or stop by our 729 OH-28 location today. Every vehicle is different and so it the service interval required. Some cars can go for 3,000 miles and some can wait as long as 10,000 miles between service intervals. Your vehicle’s specific make and age can mean either a longer or shorter oil change interval. Carworx provides conventional, high-mileage, and synthetic lube service, daily, and walk-ins are welcome. Our team is always available to advise and answer questions, concerns, or help with finding the appropriate grade of oil your vehicle needs as well as how often it will need one. Carworx Complete Car Care in Milford, OH uses the highest quality oil available that will benefit your vehicle’s overall performance. If you don’t know whether you should be using synthetic oil, traditional oil, or a blend, ask and one of our team members will help. The most important routine maintenance service is an oil change. However, it is probably the most overlooked, postponed, or forgotten. Your engine’s lubrication is crucial to the internal components working together. When forgotten it can lead to poor engine performance, gas mileage, and in extreme cases cause a breakdown. With timely service, you will notice an improvement in gas mileage, which means filling up the tank less. 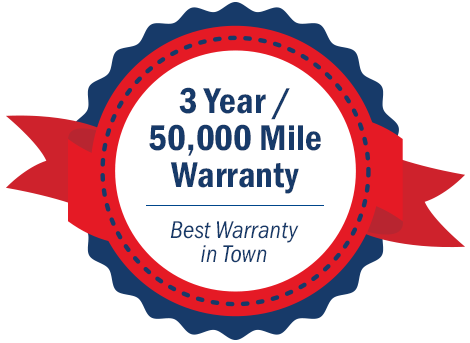 Carworx provides the routine maintenance services that will extend your vehicle’s lifespan, and improve its everyday performance. Our services include more than just your typical oil and filter change; we offer the convenience and speed that makes for hassle free service every time. Time can be a major obstacle for many drivers. It’s hard to fit auto maintenance and repair into an already busy schedule. We recommend not delaying and have your vehicle inspected soon, and sticking to the manufacturer’s recommendation as well as the expert techs at Carworx. Time For Your Oil Change? Keep up with routine maintenance and help your car last for years to come. Let us help you keep up your vehicle’s engine performance with a timely and efficient clean oil change service. Call (513) 831-9600 today to schedule your appointment. Additionally, you can schedule service online and we accept walk-ins and offer same day service as well!